What has got 6 legs, a head, 2 eyes and red wings and is not a dice game of Beetle. It is the red lily beetle Lilioceris lilii that consumes large quantities of one of our favorite plants. Adults are 8mm long, bright red with a black head and legs. Eggs are 1mm long and orange-red, found in groups on the underside of lily leaves and they hatch in around a week. Larvae have orange bodies with black heads but are normally covered with their own slimy black excrement. The fully grown larvae are 8-10mm long. At the pupal stage they lie in the soil. Both the adults and larvae can defoliate lilies and fritillaries in short order. Leaves get ragged and black gungy deposits can be seen on infected plants. The red beetles easily fall off leaves and hide in the soil when gardeners try to remove them by hand. The beetle was initially confined to south east England but has spread north. Adult lily beetles emerge from the soil from late March to May and feed on foliage between May and September. Adults feed and lay eggs on the underside of leaves of host plants from late April until early September. After about two weeks, when the larvae are fully grown, they pupate in the soil. Two to three weeks later new adults emerge. The beetles overwinter as adults in sheltered places, often in the soil but not necessarily near lilies. This non-native pest became established just before the second world war. Red lily beetle overwinters in soil, leaf litter and other sheltered places so good husbandry can help. Small infestations can be picked off by hand. There is some pleasure in squashing a red beetle that has caused your plant so much damage. There are some parasitic wasps but probably not enough to help your lilies survive. In my experience it is wise not to expect miracles with chemical treatments and beware they can kill pollinating insects. 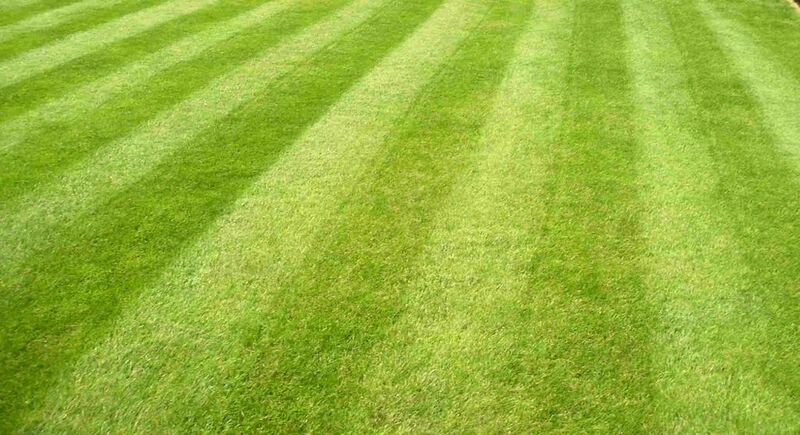 The dry weather has cause a lot of problems with moldew. (I should have said mildew but that is a Freudian slip I will leave in.) 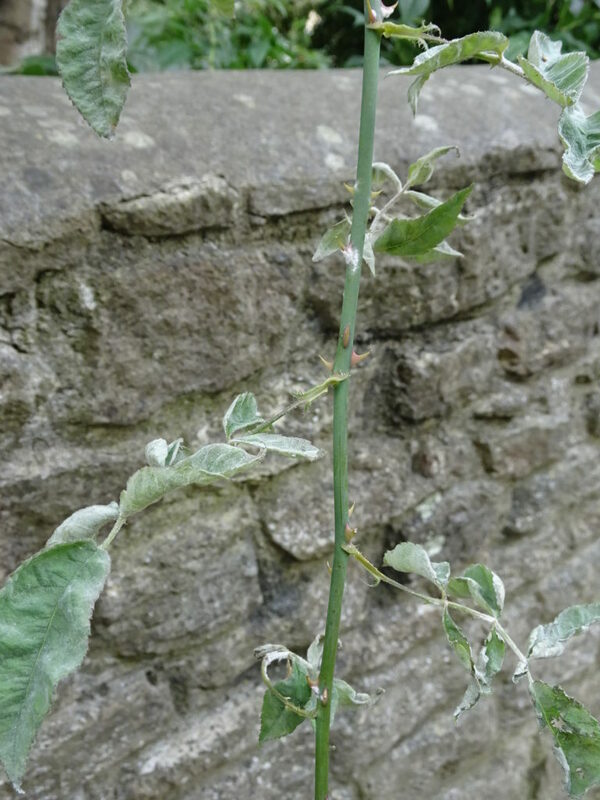 The worst affected in my garden is an early flowering clematis but this rose stem is not far behind. It was draping over a wall in the centre of Oxford with two immaculate flowers on an adjacent branch. Humid and still air plus lack of rain are to blame. 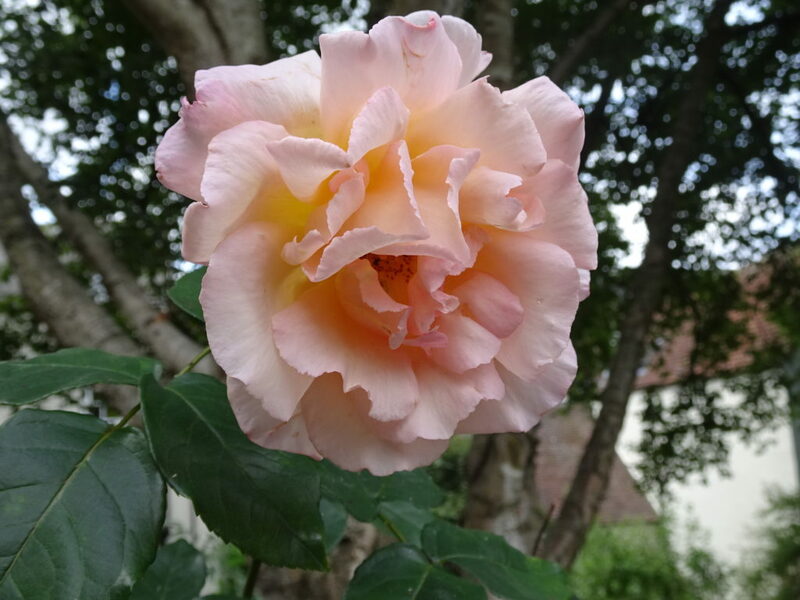 Select roses that have been bred to be mildew resistant. Spray badly affected plants with Rose Clear 3 to try stop spores spreading. Limit nitrogen fertiliser which encourages sappy growth that is prone to attack. Said of plants that are making seed prematurely. A plants purpose in life is to produce offspring usually by seed. When stressed they will trigger the reproduction button and set seed. Lettuce and salad crops are prone to bolt and ‘run to seed’. The heart of the lettuce is then useless and the plant only fit for the compost heap. 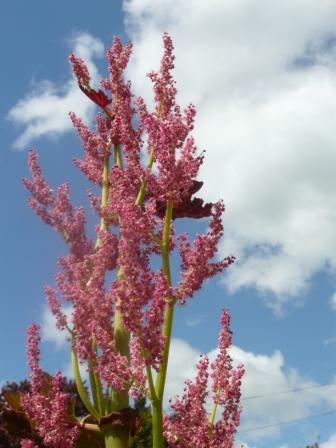 Rhubarb and rheums also throw seed stalks taking energy from the good parts of the rhubarb. You can and should brake-off the offending stalk as soon as it is seen. Water the plant and hope the rest of the crop is unaffected. Other vegetables such as members of the onion family are affected in dry and stressful conditions. This is due to the plants keenness to reproduce before it succumbs to a problem. Broccoli and cauliflower whose flowers open early are not truly bolting but the cause and effect is the same. Flowers that turn quickly to seed will inhibit more flower production. That is why sweetpeas and annuals, amongst others, should be deadheaded to prolong flower production. 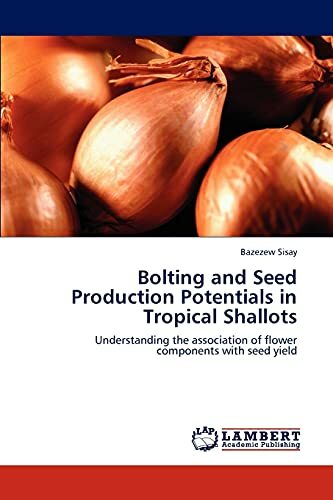 Bolting may be an advantage when seed collection or production is the main aim. If vegetable plants are allowed to set seed after flowering they may taste bitter. Plants that rub to seed will probably stop growing new buds and flowering. Regular cropping the stems of herbs like parsley, basil and mint delay their running to seed. This old gardener is running to seed with no new growth on the top of his bald head. When is a weed not a weed? Well not very often if it is growing in the wrong place. 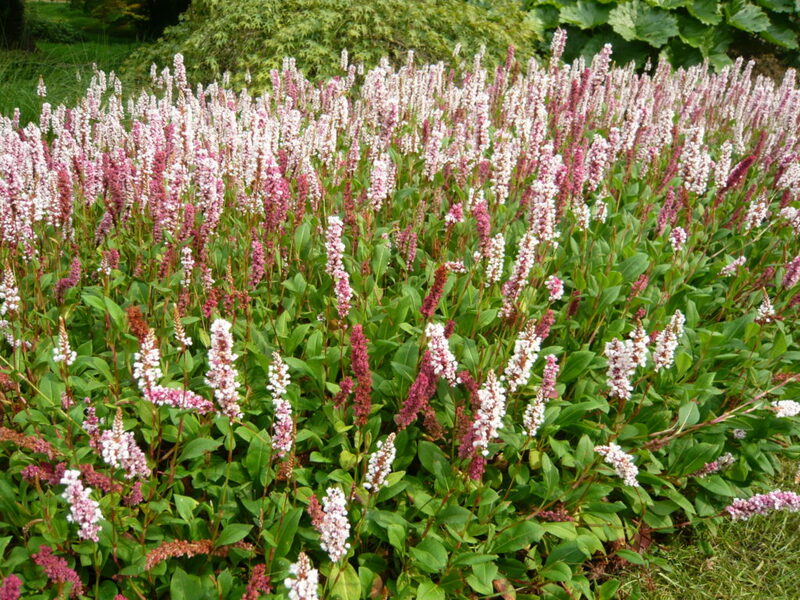 If you have planted Persicaria then that is Knot a weed it is a notweed or not depending on your spelling. 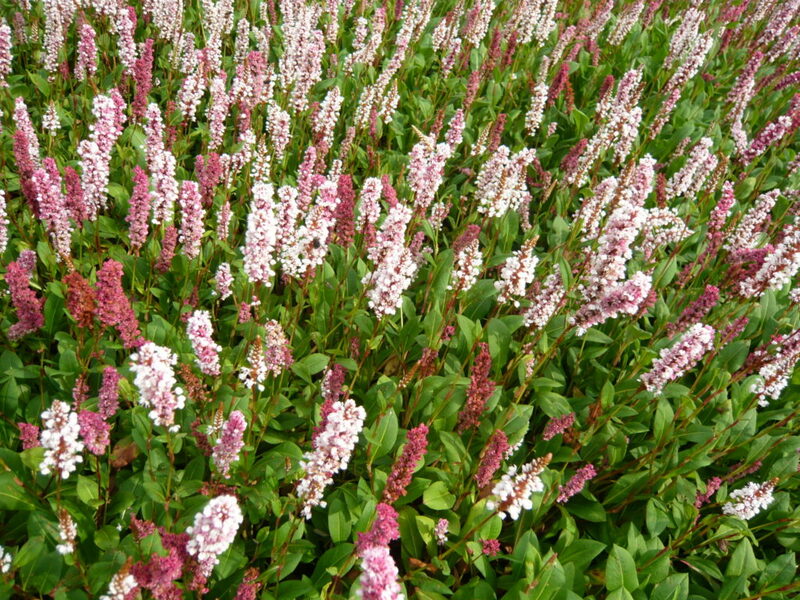 Persicaria affinis aka Polygonum affine Common Name: ‘Knotweed’ flower from late summer until the frosts with spires of red, pink or white flowers held aloft as with these massed plants by the lake at Grewlthorpe. There are over 150 species of Knotweed which get their common name from the swollen nodes on the stems. I have just given a dose of lime to the areas in my veg plot that have been cleared for winter. I like to give a bit of extra magnesium to some soft fruit trees as well. Often supplied as a powder of crushed limestone but also available as concentrated crystals. 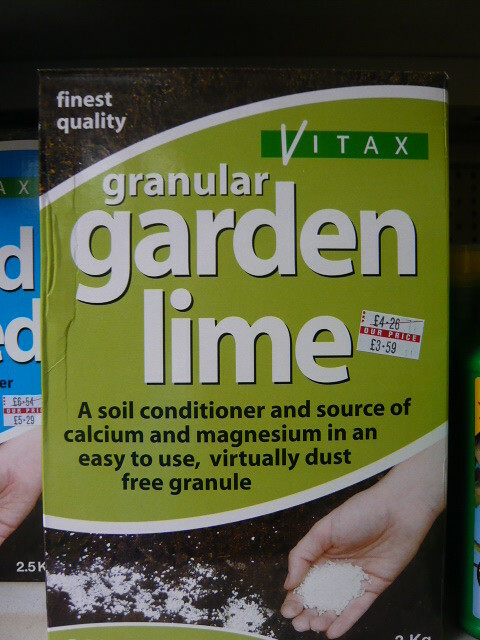 Garden lime helps to maintain soil condition. Calcium is consumed by vegetables and an extra supply is welcomed to replace calcium that has leached out of the soil by rain. 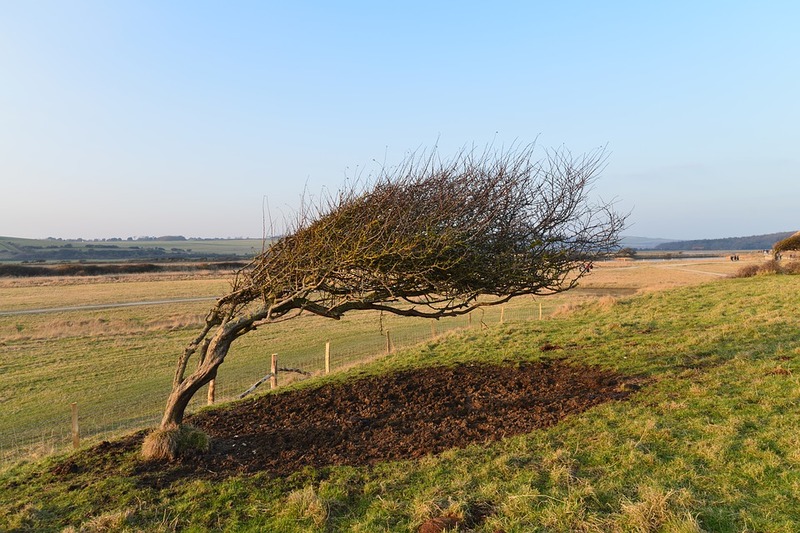 Lime help break down heavy clay soils. During the summer I have occasionally fed my tomatoes with liquid seaweed fertiliser and we have had a great crop but I think most other growers had a good tomato season. 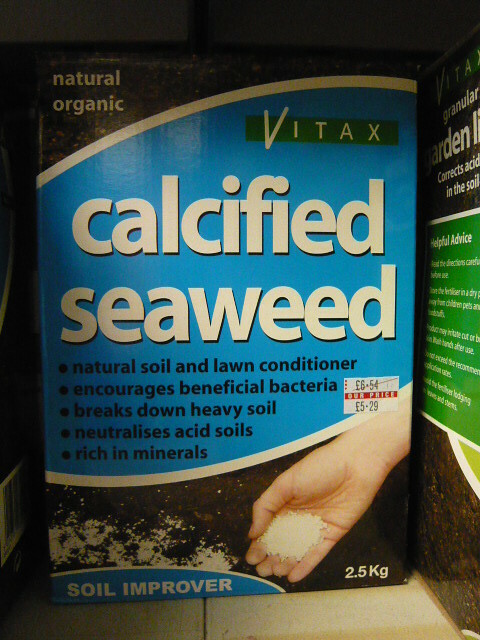 Calcified seaweed is an organic substance without any nasty chemicals. There is concern that it is no longer approved by the Soil Association for use in organic growing, due to concerns that the harvesting of this material is not sustainable and has adverse effects on the marine environment. Seaweed is rich in minerals, encourages beneficial soil bacteria, helps improve heavy soil structure and neutralises acid soils. As a soil improve and clay breaker it breaks up the heaviest clay without damaging soil pH. As a compost accelerator it speeds up the breakdown of organic garden waste. Seaweed adds trace elements and minerals to the soil. Adding seaweed is beneficial to bacteria and is used in lawn treatment. Blanching seeks to make pale or white by excluding light. Several vegetables need blanching to be made them tender and remove the green parts that cause bitterness. Celery and leeks are blanched using the process of earthing up. Seakale and rhubarb is blanched by excluding light by an upturned pot usually covered in leaf litter. Endives can be blanched by covering with a slate or tile to exclude light for a few days. Chicory and lettuce may blanch if the leaves are tied together. Exclude light from potatoes by ‘earthing up’ or drawing mounds of soil around the haulms (stems) to prevent tubers from growing near the surface and turning green. Blanch vegetable or fruit by scalding in boiling water and finally plunge into icy or very cold water. Skin and outer shells are easier to remove on tomatoes and many nuts after quick blanching. Fruit and vegetables are treated to minimize the bacterial content often as a precursor to freezing. Blanching helps to retain a green color with asparagus, greens, peas and beans. Par boiling is similar to blanching but without the last step of a quick chill in cold water. 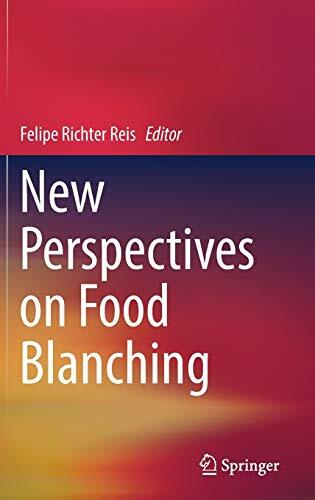 Blanching food is now a recognised industrial process about which several learned views have been published. Encourage natural predators of specific pests. Ladybirds and lacewings love to eat aphids. Frogs and hedgehogs go for slugs and if you want birds they have to eat something. 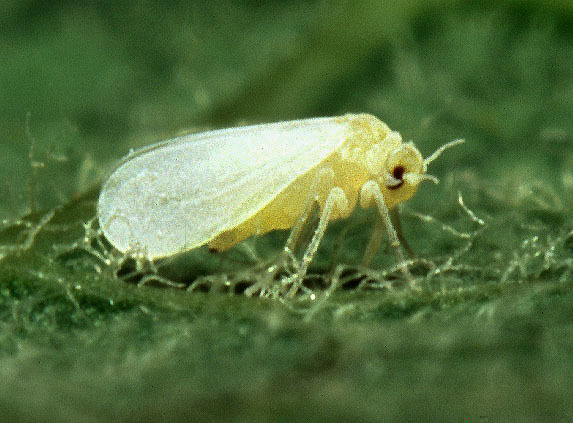 Biological controls introduce one killer insect to predate another; Whitefly can be targeted by a parasitic wasps. Hand picking problems like the red lily beetle may be time consuming and intensive but is therapeutic for the Lily and the gardener. Removing and squashing caterpillars from brassicas is an old remedy . Water spraying with a light soap solution has been used for some time to remove aphids. Add plant oils and other organic based substances like garlic to the water for an environment friendly solution solution! For my Tomatoes I companion plan French marigolds to distract predatory insects from the tomatoes. Barriers from rabbit & deer fences to slug traps are chemical free. Slugs do not like copper or the sharp edges of eggshells. Think on about appropriate garden practice and methods like raised beds, crop rotation and good soil conditioning. You do not need to remove the pest completely but are aiming to protect your plants and crops from serious damage. Many creatures we think of as pests are seen by some desirable creatures as food. Encouraging more diversity within the garden will prove beneficial. Ants are unsettling but benign and do not do much damage to flowers and crops.If possible leave the ants to carry on. Consider the whole food chain and be cautious before using any chemical. Remember the song Ilkley Moor Baht’at, after we’ve buried thee, worms will eat thee up, then ducks will eat up worms, we will eat up ducks and then we shall all have etten thee! Piles of rotting wood, nettle beds and nature zones are better than obsessive cleaning up.